ABI Research reports that Apple's iPad has 'passed the baton' to the Android ecosystem. According to the report, during the second quarter of 2013, Android tablets sold surpassed iOS tablets sold, revenues reached parity, and the average selling price of the iPad dropped closer to market average. Overall shipments in the quarter dropped 17% sequentially while growing 23% year-over-year for the same quarterly period. “Smaller 7-inch class tablets are finally the majority of shipments,” says senior practice director Jeff Orr. “The 7.9-inch iPad mini represented about 60% of total iPad shipments and 49% of iPad-related device revenues in the quarter.” Tablet shipments in the second quarter of 2013 achieved revenues of $12.7 billion. 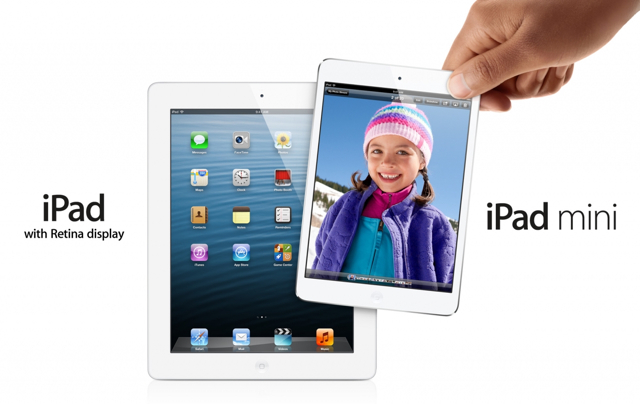 For the first time, iPad represented only 50% of worldwide end-user revenues. Apple split the market with all other branded vendors at $6.3 billion in the quarter. Notably, the average selling price of the iPad dropped 17% while the average selling price of other tablets increased 17% in the past year. This is due to the introduction of the smaller and cheaper iPad mini. “Twelve months is a long time for the peak lifecycle of a contemporary tablet. To remain a leader, Apple must continue to innovate and address real-world market needs,” adds Orr. Apple is widely expected to release a new iPad 5 in October; however, it's unclear if the company will launch a new Retina Display iPad mini at the same time.